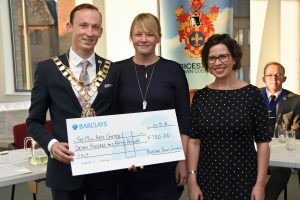 Voluntary groups and charities across Bicester can now tap into an £18,500 cash pot after the town council launched its annual Grant Aid scheme. 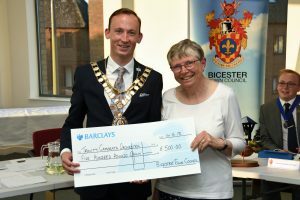 The Grant Aid scheme is run by Bicester Town Council to support activities that benefit Bicester residents. Organisations are invited to apply for a share of the money, up to £1,000, but generally awards do not exceed £500. Last year’s successful bids included Bicester Sub Aqua, which received £500 to pay for a training defibrillator, and Langford Village Community Association was given £1,000 towards the cost of new flooring in the community hall. Finance committee chairman Cllr David Magee said: “We know there are many organisations in the town doing fantastic work and the Grant Aid scheme is a way for the council to financially support this work. “As councillors we look forward to hearing more about the exciting projects that are taking place in our community. In the past we have helped fund children’s reading book boxes, security cameras, first aid training, circus skills for young people and outings. The closing date for applications is March 8. Decisions will be made in April and cheques will be presented at the annual Mayor Making ceremony in May.